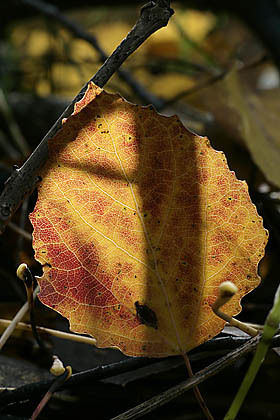 We have all used the phrase "trembling as an aspen leaf“, but why does it tremble? Scientists have studied the issue. The movement of the aspen leaves even in the faintest of breezes is caused by the shape of the aspen leaves. The leaf blade is round and the stalk is relatively long, almost the same length as the leaf. According to the laws of physics a leaf shaped like that should begin to flutter in the slightest winds. However, another question follows - how can this be useful for the tree? There are different assumptions. Continuously moving leaves can catch energy from the sun more efficiently, or more water vapour evaporates from the surface of constantly moving leaves and so the root system must provide the aspen tree with a larger amount of water and thus also with nutrients. 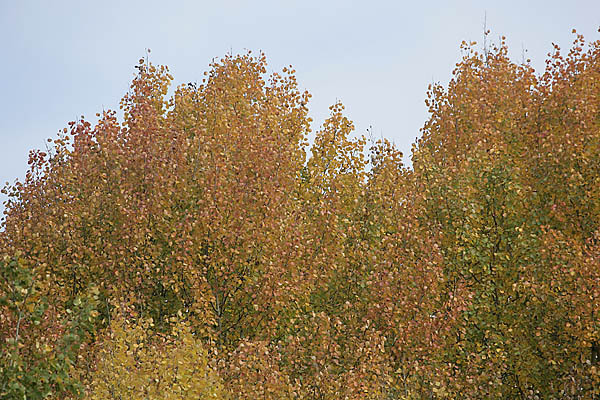 However that may be, the aspen does grows faster than other trees and perhaps this is also why aspen wood is softer. The annual growth of young aspens is about one metre a year during the first decade. Aspen forests make up 4 % of the area of Estonia’s deciduous forests, coming in third place after birch and alder woods.